Faculty and staff employed one-half time or more for a minimum of 4 ½ months or one fall or spring semester for nine-month contractual employees must participate in the state retirement plan, Public Employees’ Retirement System (PERS). The Plan is designed to provide monthly retirement contributions for the life of the employee. Participation is mandatory as a qualified state employee. Staff members employed in benefit eligible positions must participate in the Public Employees’ Retirement System of Mississippi (PERS). 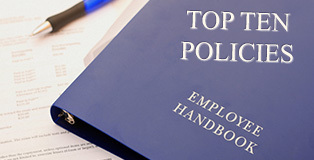 Both the employer and employee are required to make contributions to this plan. The employee’s pre-tax contribution is 9.00% of gross wages and the University contribution is 15.75% of the employee’s gross income. PERS is a defined benefits plan which entitles qualified employees to a guaranteed retirement benefit. Information about vesting periods, contribution limits, and plan benefits is available in the University’s Fringe Benefits Booklet or by visiting the PERS website. The State permits employees employed as administrators with budgetary authority, faculty members, researchers, coaches, or librarians with academic rank the opportunity to participate in the Optional Retirement Plan (ORP) in lieu of PERS. This is defined contribution plan in which the employee contributes, on a pre-tax basis, 9.00% of gross wages. The employer contribution is 15.75% of the employee’s gross income. The ORP member account will only consist of your contributions and 13.1175% of the employer contributions. The employer contribution balance of 2.475% goes to PERS to fund the unfunded accrued liability of PERS and .1575% administrative fee as it does for all PERS participants. The participant may invest retirement contributions with the following vendors (Valic, Voya, and TIAA). Click here for ORP vendor contact information. Participants must complete enrollment forms with the vendor to establish an account, designate beneficiaries and select investment options. Information about the ORP, selected vendors, and investment information is available on the following website. Individual consultants are available to assist you in preparing for the future and will provide guidance in selecting investment options that are in line with your retirement plans. For new participants, enrollment forms will be completed with Human Resources staff during scheduled consultation and paper completion sessions. Employees may change beneficiary designations at any time. PERS participants must complete the Beneficiary Nomination Form This form must be forwarded to Department of Human Resources for employer certification. ORP participants must contact Valic, Voya, or TIAA directly to update beneficiary designations or change investments. The University offers faculty, staff, student workers, and re-employed retirees an opportunity to invest in pre- and/or after-tax supplemental retirement plans. Participation in a pre-tax 403(b), after-tax ROTH 403(b), and/or the 457 Mississippi Deferred Compensation plan is voluntary. Investments are from employee contributions only. Annual contribution limits are defined by IRS code. Information about these plans is available in the University’s Benefits Booklet. Participants must complete enrollment paperwork with the vendor to establish an account, designate beneficiaries, and select investment options. To begin or cease participation in the plan or to make a change to the contribution amount the participant must complete and forward a Salary Reduction Agreement to the Department of Human Resources.